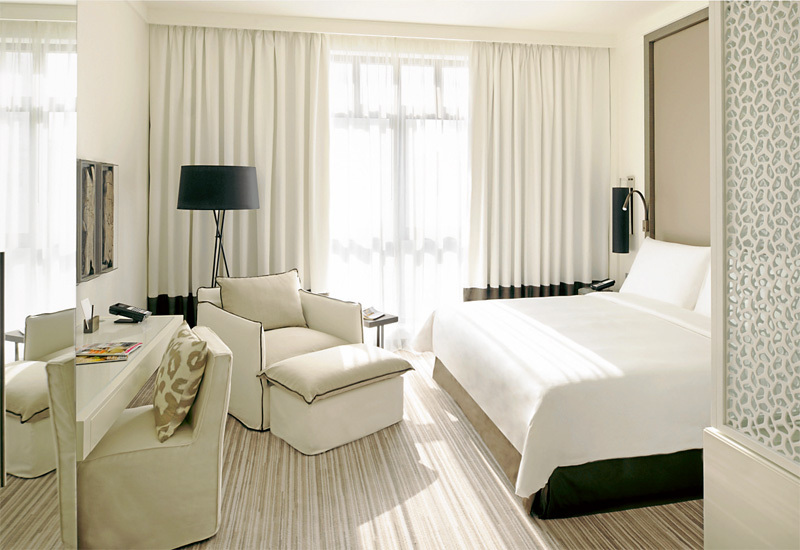 Last weekend we had the pleasure of staying at Vida Downtown Dubai (thank you Vida). We were upgraded to a deluxe room with a pool view. The style of the hotel is minimalist, on-trend and chic. Bright, contemporary and comfortable is how you would describe the rooms, with all of the things you expect from a Dubai luxury offering. We last stayed at Vida a couple of years ago and since then have always talked of going back. We've found Vida to be one of the most relaxing city hotels, certainly in Dubai, and we've stayed in a lot of hotels. The structure is low rise - which makes a nice change from Dubai's mega sky-scrapers - and is located right in the heart of Downtown Dubai; which is both a desirable and pricey area. Being right in the middle of Downtown Dubai means that Vida is walking distance from the Dubai Mall, the Burj Khalifa and all of the entertainment options that this area has to offer, making it a a perfect holiday hotel. You can sun yourself, relaxing in a poolside cabana with the Burj Khalifa towering above you, while you enjoy the chilled out tunes of the resident DJ. Another thing that makes Vida a worthy destination is La Serre. This is the hotel's signature restaurant, and one of our favourites in the city. Dubai fine dining at its very best. During our stay we sampled Vida's unique Friday brunch concept: the Urban Picnic. And the Vida Friday picnic should definitely go onto the bucket list of those of you living here in the Land of Sand. The Urban Picnic runs from 1-5 pm every Friday. You can sit inside but we chose to park up on the bean-bags in the poolside cabanas, allowing us to punctuate our brunch with a dip in the pool. That makes it one of the most laid back brunches in Dubai. The dress code is anything from bikini to your Friday best. Food-wise, there's a lavish buffet with some very interesting options (woodfired pizzas are made to order at one of the stations), a poolside BBQ serving all manner of carnivorous delights all of which is supplemented by an a la carte menu. This delicious variety accommodates every kind of bruncher. And what about the beverages? Excellent. While they don't offer French Fizz, the approach is that you select a picnic hamper and fill it with hand selected bottles of grape and other refreshments and take them to your cabana or table to either help yourself or take full advantage of your waiter. It is a great approach and really adds to the relaxed feel. Vida's staff are extremely competent and nothing was too much trouble. The music was a good mix of old and new chilled out music; not overpowering but enough volume to create a good atmosphere. We loved our experience lounging on our poolside cabana, taking full advantage of Vida's Friday Urban Picnic. In fact, we loved it so much that the day turned into the evening and will still found ourselves ensconced there by the Vida pool. We can't wait to go back and sample it all again later in the winter. Why not give it a try if you're looking for a great Friday picnic in the Dubai winter sun.